A former U.S. citizen residing in Switzerland pleaded guilty today to one count of filing a false income tax return, announced Acting Assistant Attorney General Caroline D. Ciraolo of the Justice Department’s Tax Division and U.S. Attorney Dana J. Boente of the Eastern District of Virginia. According to court documents, in 2006, Albert Cambata, 61, established Dragonflyer Ltd., a Hong Kong corporate entity, with the assistance of a Swiss banker and a Swiss attorney. Days later, he opened a financial account at Swiss Bank 1 in the name of Dragonflyer. Although he was not listed on the opening documents as a director or an authorized signatory, Cambata was identified on another bank document as the beneficial owner of the Dragonflyer account. That same year, Cambata received $12 million from Hummingbird Holdings Ltd., a Belizean company. The $12 million originated from a Panamanian aviation management company called Cambata Aviation S.A. and was deposited to the Dragonflyer bank account at Swiss Bank 1 in November 2006. On his 2007 and 2008 federal income tax returns, Cambata failed to report interest income earned on his Swiss financial account in the amounts of $77,298 and $206,408, respectively. In April 2008, Cambata caused the Swiss attorney to request that Swiss Bank 1 send five million Euros from the Swiss financial account to an account Cambata controlled at the Monaco branch of Swiss Bank 3. In June 2008, Cambata closed his financial account with Swiss Bank 1 in the name of Dragonflyer and moved the funds to an account he controlled at the Singapore branch of Swiss Bank 2. In 2012, Cambata, who has lived in Switzerland since 2007, went to the U.S. Embassy in Bratislava, Slovakia, to renounce his U.S. citizenship and informed the U.S. Department of State that he had acquired the nationality of St. Kitts and Nevis by virtue of naturalization. Cambata Avaiation S.A., a Parnamanian aviation company. 2. It is fairly common to use pseudonyms in indictments and plea agreements where there is some reason to do so. I don't know precisely why this plea agreement does not name the Swiss Banks. For example, if one of the Swiss Banks were a bank already identified on the IRS Foreign Financial Institutions or Facilitators list here, those institutions have been outed and have made their peace with the U.S. tax system. I don't see what interest is furthered by not identifying them. I suppose an inference -- perhaps a good or bad inference -- is that the banks involved have not been publicly identified. That does not mean that those banks are necessarily good or bad banks and should have been in the DOJ Swiss Bank Program, here; but the statement of what the banks knew would certainly suggest that one ore more of them should have been in the Program. 3. I infer that the Swiss banker and lawyer were not named because they may be persons of interest (deliberately fuzzy) to DOJ. Of course, they will know who they are, and, if smart, will limit their travel to points of destination within Switzerland. 4. In 2012, in renouncing U.S. citizenship, he advised the State Dept. that he had become a citizen of St. Kitts and Nevis and presumably also told the State Dept that he was living in Switzerland. Really? That is hardly flying low. 6. There is no indication that he has resolved any FBAR matters. The standard FBAR penalty in plea agreements has been 50% of the high year, but apparently the plea agreement here does not address that issue. I would assume that he did not report these accounts. 7. The single plea count is to tax perjury, § 7206(1), here, a three-year felony. 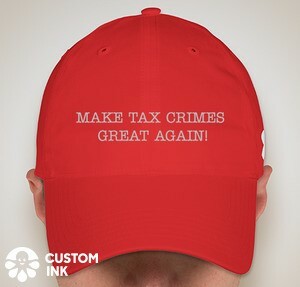 During most of the time since 2009 when the DOJ's offshore bank initiative kicked into high gear, the plea offer to taxpayers was one count of tax perjury or one count of FBAR violation, which is a five-year felony. I think most taxpayers took the tax perjury count offer. (I can figure that out from my data, but have not yet done that.) Of course, based on the announcement it is not even clear that there was an FBAR violation, but usually in a foreign bank account tax evasion case (this was tax evasion even though only tax perjury was the plea), there is an FBAR violation. One of the problems with the FBAR violation is that, if he did file FBARs and simply omitted some, the charge would likely have to be false statements (18 USC § 1001) or some other such charge. 8. I did a Google search for Albert Cambata and found an indication that, in 2008, he resided "in both Switzerland and Staunton, Virginia."